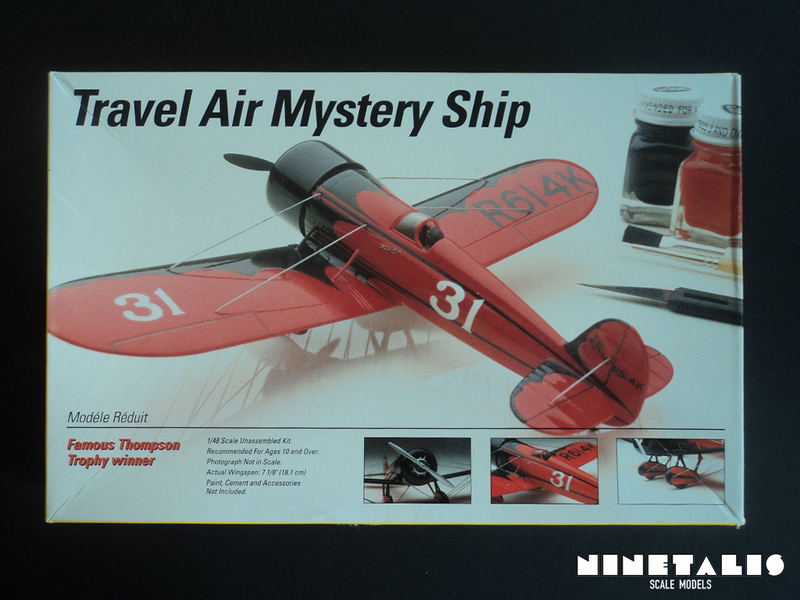 The Travel Air R-type “Mystery Ship” were a series of aircraft, specifically designed for air racing. Its name was derived from the fact that the aircraft was build in complete secrecy. Before the Mystery ship joined the world of air racing, the whole scene was dominated by the military, as these were the most powerful aircraft at the time. The military was the institution that could easily get its hands on the biggest engines, therefore making it possible for them to win most, if not all the races. This changed when Herb Rawdon and Walter Burnham wanted to prove that an aircraft specifically designed for racing could outfly the military competitors. The aircraft succeeded in outpacing any aircraft the military could offer. It set numerous speed records for different types of races and was the first time ever that a civilian racer outperformed its military competitors. During the Thompson Cup Race in 1929, the aircraft was able to recircle one the pylons before it opponents even passed it. This article is partially based on information found at wikipedia, 10th april 2015. 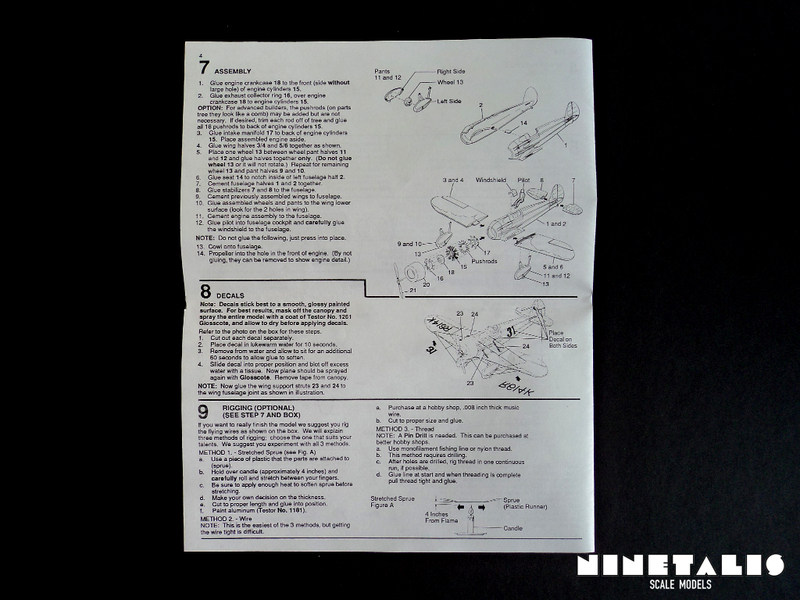 Inside the boxing of this kit we can find two sprues, one single clear part, the instruction booklet and a decal sheet. 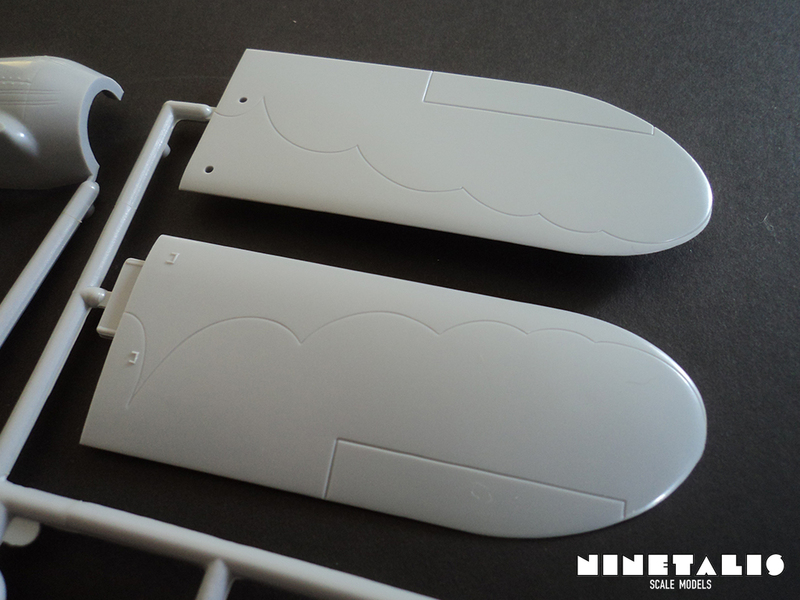 The parts feature both recessed as raised panel lines and rivets. Inside one of the wings a stamp can be found, stating this is a 1965 mold from Hawk Model, which has been long defunct now. The frames are not numbered but luckily the parts are. Given the fact that there are only 24 parts, it shouldn’t really pose a problem. Also added within the kit are two cards. The first is from Testors itself to provide feedback on their products. By doing so, you have a chance at winning a Testers Airbrush. 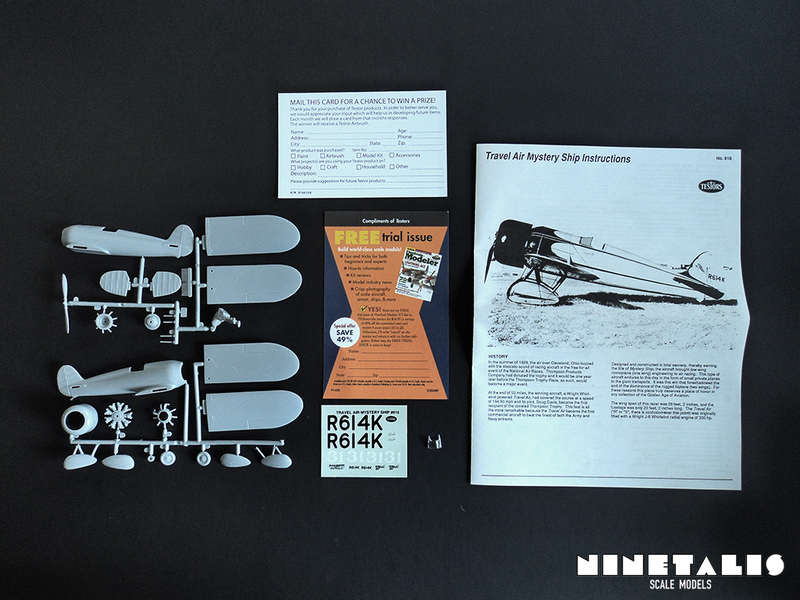 The second is a leaflet of FineScale Modeller to receive a trail issue. However, this trail is only eligible for people in the US. 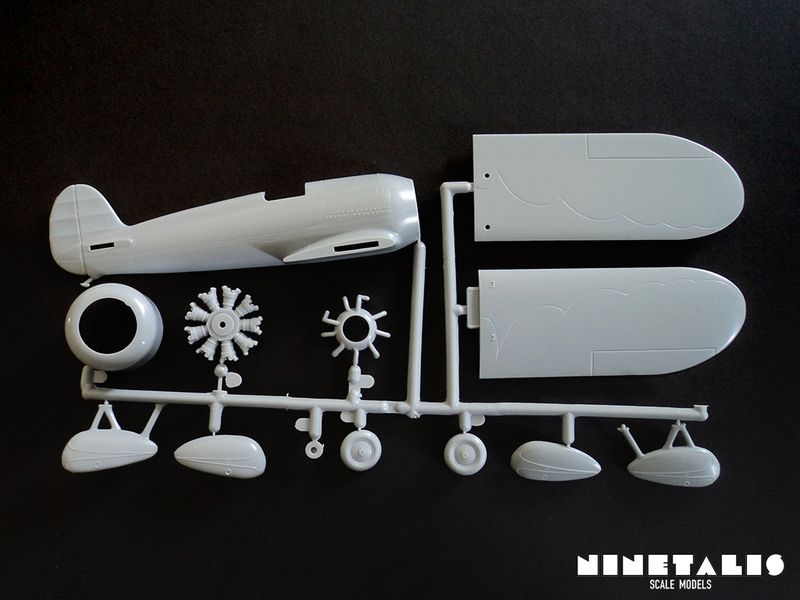 The first sprue features the wheels, wheel covers, the right wing and fuselage half and the engine together with its cowling. 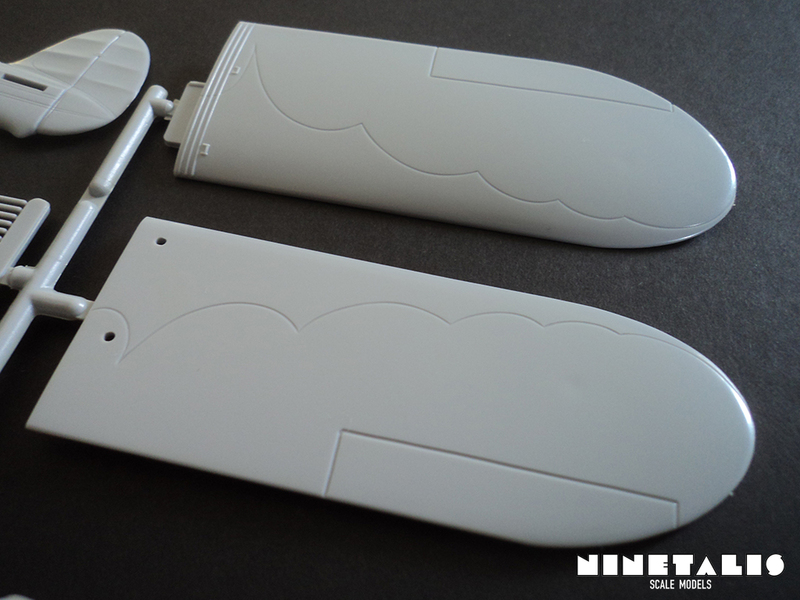 The parts are surprisingly detailed with various recessed and raised details. What stands out is that some of the recessed lines on the parts are not panel lines, but rather the border of the graphics. So if you are planning on making any anything else than the markings provided with the kit, you will have to fill up these seems. On the wings it does not really seem like much of a challenge, but on the fuselage the lines are surrounded by various panel lines and raised rivets. 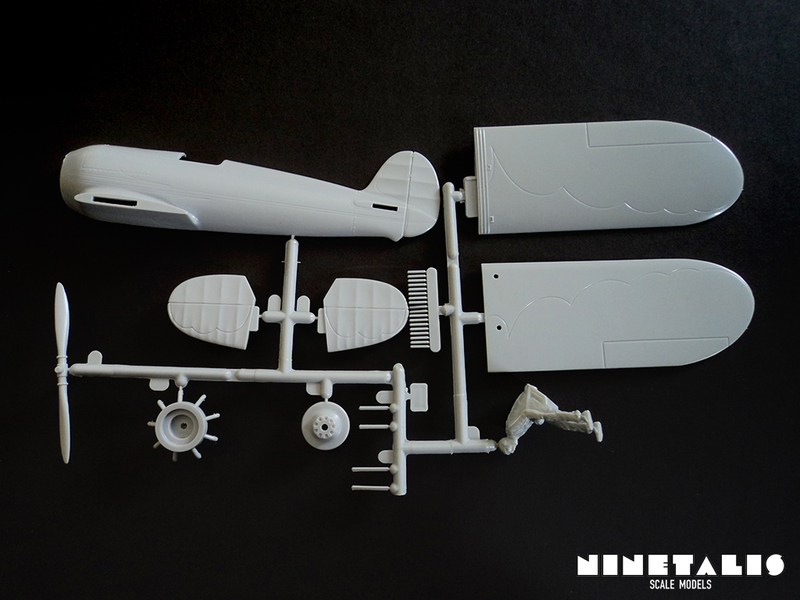 The second sprue features the left wing and fuselage half, together with the horzontal stabilisers, propellor and a pilot figurine. 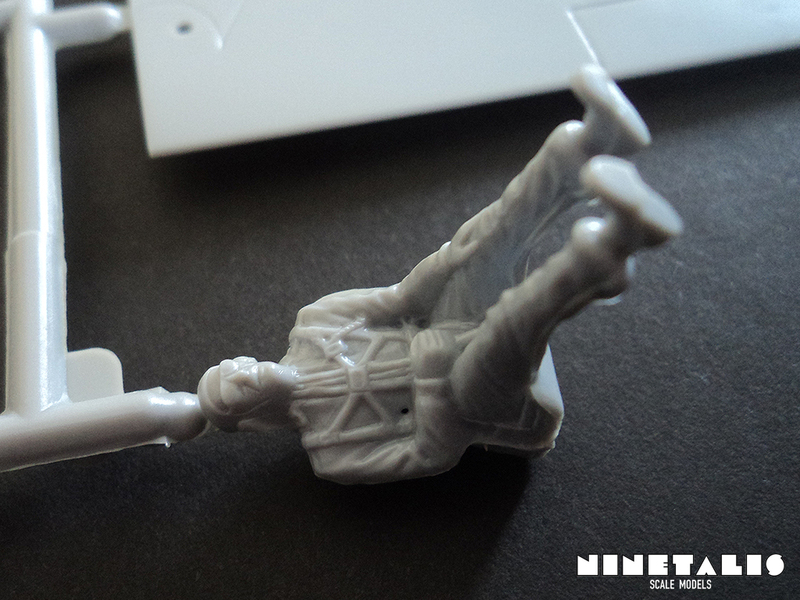 When looking at the figurine, it becomes obvious that there are no parts for the cockpit, as the pilot seat and control stick are folded onto the pilot itself. In essence we don’t get anything for a cockpit. 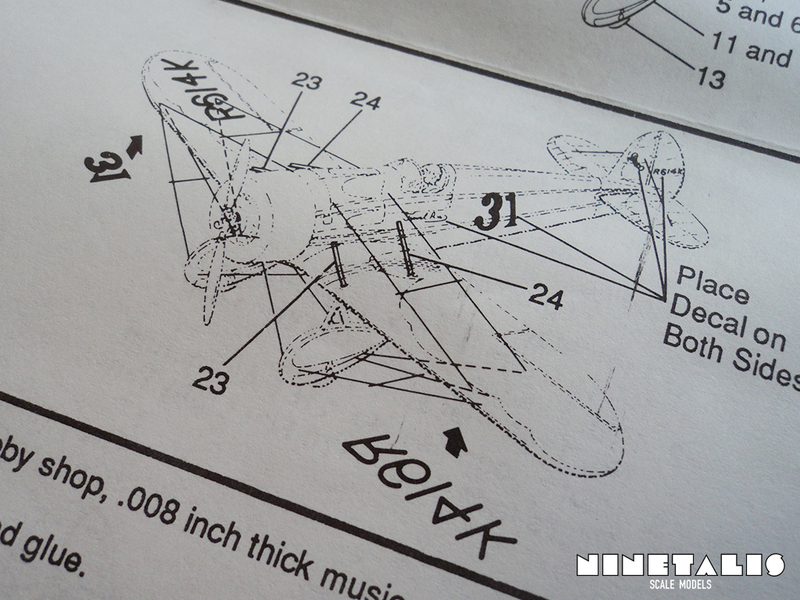 On this sprue, we can also find the recessed lines for the graphics of the R614K airframe. 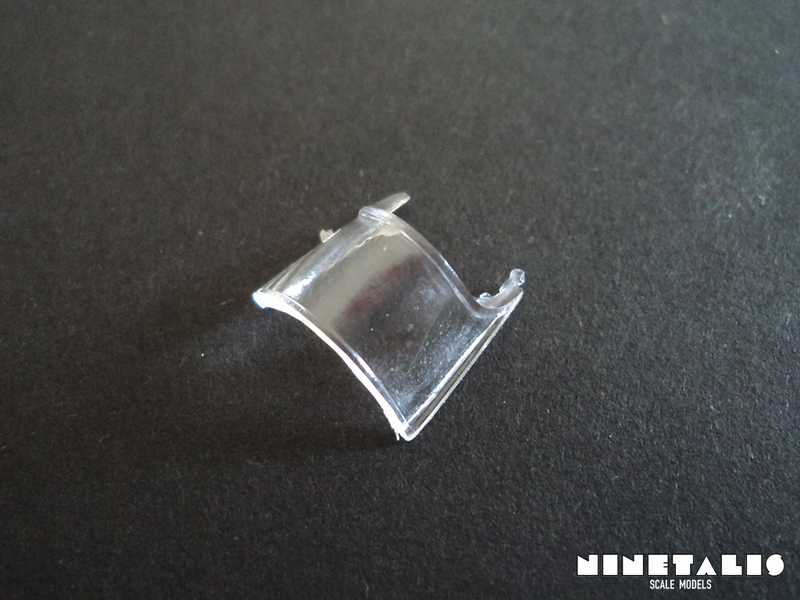 There is no clear frame as there is only one clear part, which is represents the glass part of the open canopy. The areas that need to painted are raised, which makes it easy to put masking tape around it. 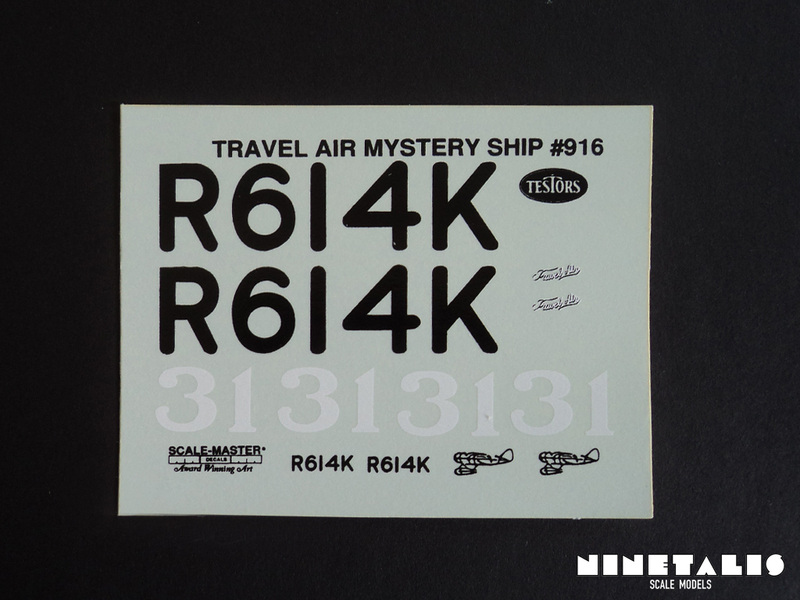 The decal sheet is quite small and features ten decals. 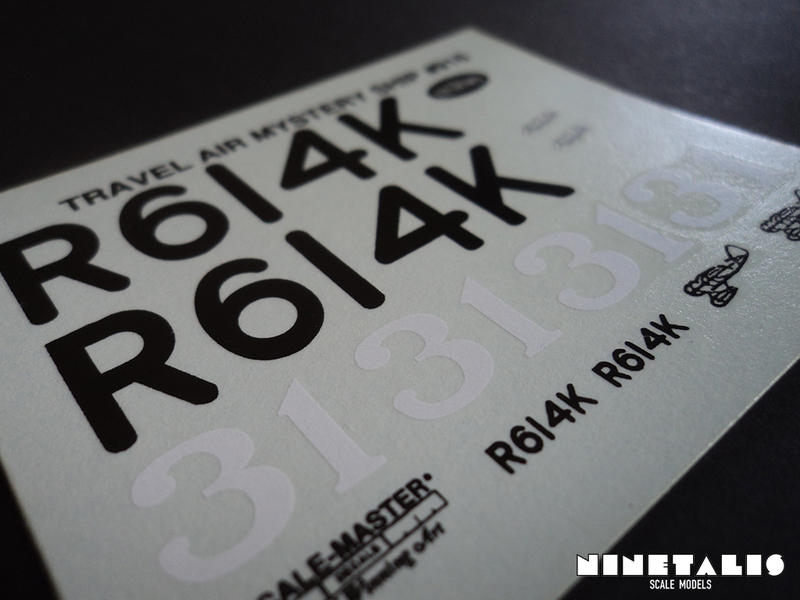 Four of these are the ‘white 31’, four are the serial ‘R614K’ in smaller and bigger black letters. The last two are small logos of the Travel Air company. Silvering seems to be at a minimum. 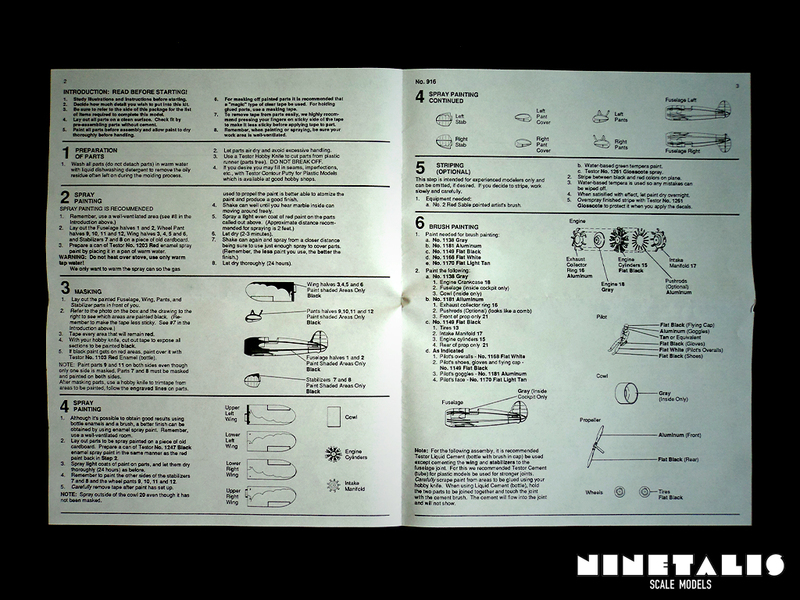 The instruction booklet is made from a large sheet of paper which is folded in two. 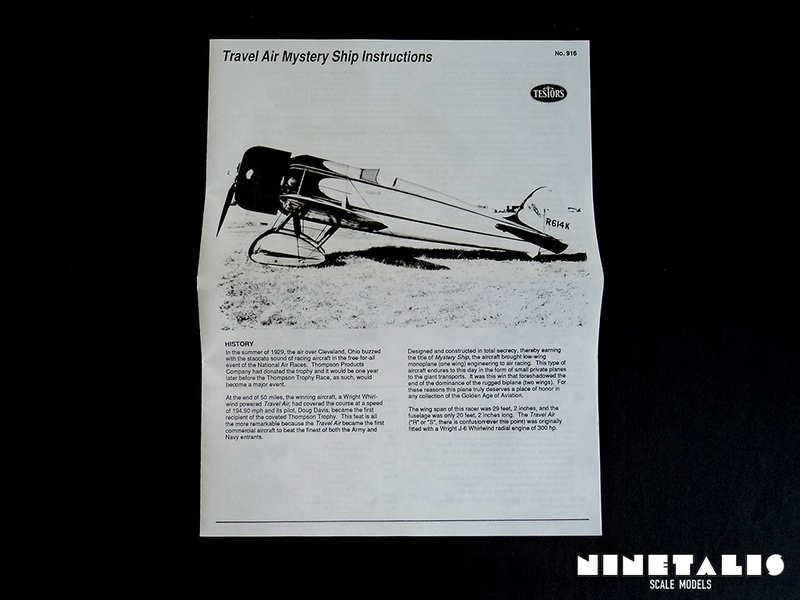 On the cover of the booklet we can find a photograph of the actual R614K airframe, which was the first Mystery ship aircraft that was completed. The aircraft could use different sets of wings, depending what the type of race it would compete in during that time. The airframe caught fire in 1931, just before the Thompson Trophy race. Only the long wings and tail remain today, and are on display at the Beechcraft Heritage Museum in Tennessee. 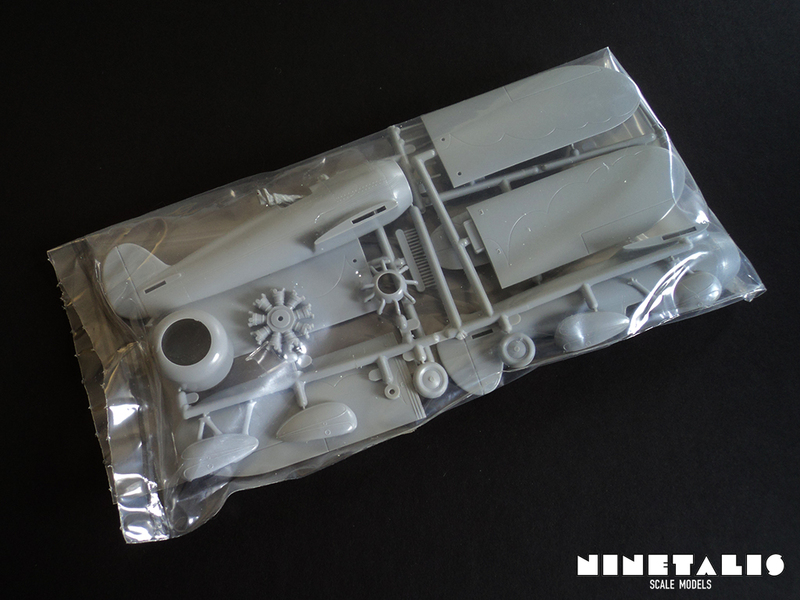 To make it short, this is definitely not the most detailed scale model kit out there, considering that it only compromises 24 parts, thanks to its roots dating from the sixties. However, I wouldn’t say that this kit is a write off. Actually I think it is more the opposite. It is a great base to build upon as scratch builders can make a cockpit ‘from scratch’. Even the most novice scratch builder can easily add detail. Even if the builder does not want to do this it won’t be a problem, as the pilot figurine provided will fill up the entire cockpit. 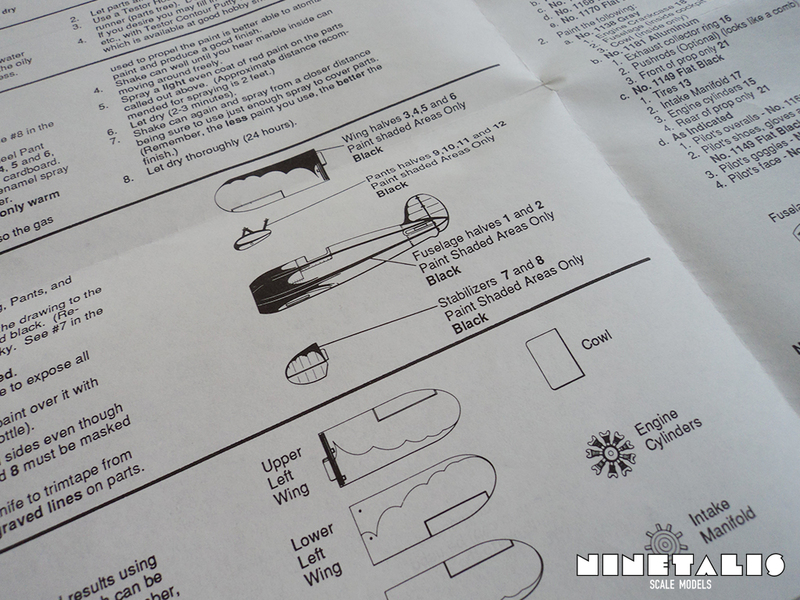 Also the instruction are nice as there are illustrated guidelines to cut masking for the markings are a nice touch. At the end of the day I would say that the kit could turn out to be a quick and fun build, even for a beginner this might be a good kit due to its low part count and easy paint scheme. 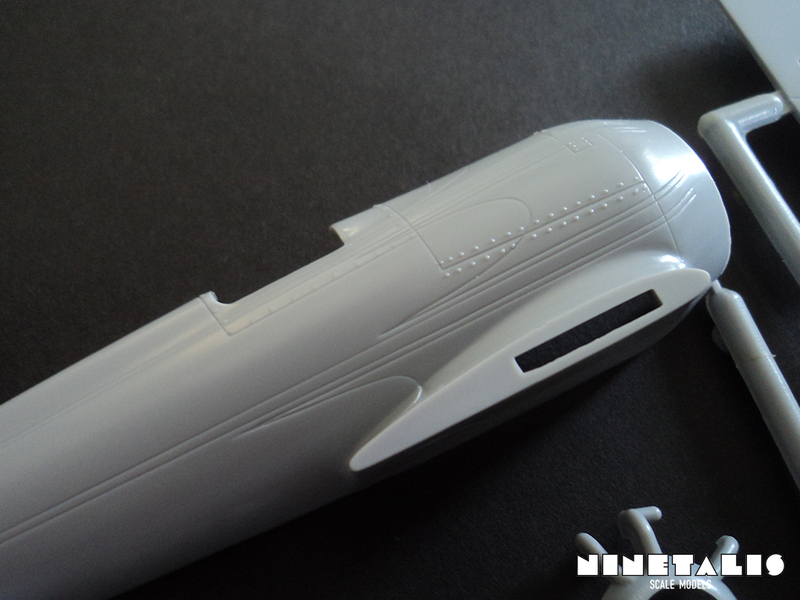 But however you look at it, this is the only 1/48 kit out there of this aircraft. 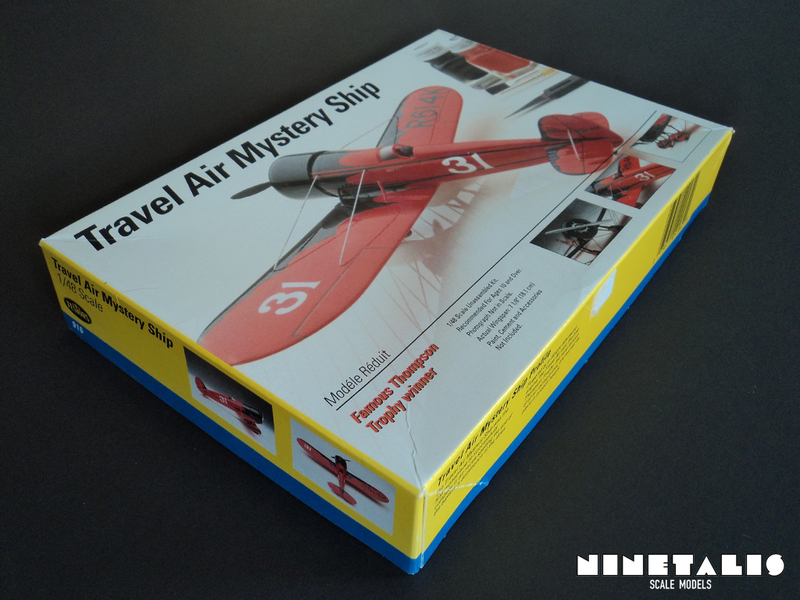 Unless you really want a over engineered and detailed kit, I can recommended this.